If you’re the kind of person who values optimal health, not being dependent on drugs, and preventing chronic disease, and when you don’t feel good you want to find the cause of the problem instead of just treating the symptoms, then functional medicine is a perfect match for you! Functional medicine doctors are trained to scientifically find the cause of health problems. Functional medicine utilizes an in depth comprehensive history, the most state of the art, cutting edge, advanced testing, along with an in depth understanding of basic human physiology, to uncover what has gone wrong in the body. A functional medicine doctor can be a doctor of any discipline. 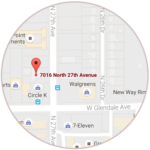 You can find Medical, Naturopathic, Osteopathic and Chiropractic functional medicine doctors. Doctors attracted to this specialty are the type who aren’t satisfied with traditional disease/symptom based care. Functional medicine doctors have a passion to find the source of their patients’ disease and see their patients go from illness to health. Functional Medicine Doctors find the Missing Piece to Health! Functional medicine is a specialty that requires an incredible amount of advanced training. These doctors need to have a firm grasp on the basics of human physiology, biochemistry, anatomy, and pathology. 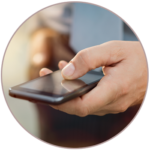 Ongoing training is needed to keep up with the ever-advancing testing. Instead of throwing drugs at symptoms, these doctors work to get their patients well by discovering and fixing the cause of the problem. Functional medicine doctors are like detectives putting all the clues together in order to solve the puzzle of disease. Certified functional medicine training is open to doctors of all disciplines. A certified functional medicine doctor must complete 200 hours of advanced functional medicine training and pass 11 exams on the training material. Certified functional medicine doctors are up to date on the latest, most advanced testing and treatment. There are doctors who are not certified in functional medicine who practice functional medicine, however without the certification, patients have no guarantee that the doctor is at the cutting edge of this science. It you have a choice, get care from a certified functional medicine practitioner! Take a really common problem like diabetes. When a patient goes to a typical physician, at best they are given diet and lifestyle education and medication to treat their diabetes. With the typical disease based approach every case of diabetes is treated the same. The problem is that no two people are the same. Does that make sense? If everyone is different shouldn’t the treatment be unique for each person? Oh yeah, and really high blood sugar! All of the above are things that can be fixed, and without drugs! I am helping this patient rid his body of toxins and replenish his body with the things it’s deficient in. How do you think these health issues would have responded to the typical standard disease based treatment approach of a prescription medication? Yeah, not so well. Drugs do not address toxicities and deficiencies, and too often they add more toxicity and unpleasant side effects as well. The biggest objection to functional medicine is that insurance doesn’t cover much of the testing or treatment. It’s true that the approach functional medicine doctors take will cost you more in the beginning. However, the standard medical approach is much more expensive in the end. Think about my diabetic patient here. What happens to his kidneys, heart, immune system and quality of life as time goes on with standard medical treatment. How expensive is a heart attack, stroke, kidney dialysis or replacement, cancer, or Crohn’s disease? We all know it’s always cheaper and better to fix a problem early on, and the earlier the better. This video by Dr. Mark Hyman eloquently describes functional medicine. 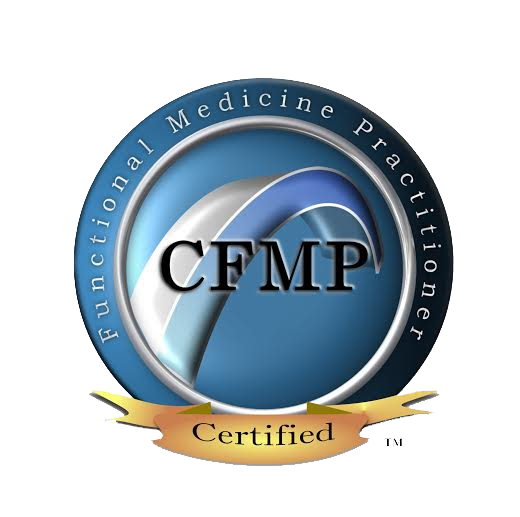 I am proud to be a Certified Functional Medicine Practitioner. I have had the privilege of helping patients all over the world with every imaginable problem. Functional medicine is not for everyone, but if you think you would benefit from functional medicine, I would be honored to serve you.